S4GA is happy to announce a new strong partnership in Asia. 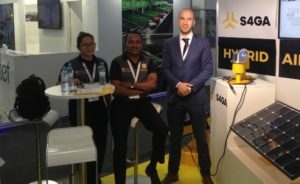 Hardelec Engineering, airport systems integrator based in Singapore, will present S4GA at Southasian airport market. Business negotiations between the Companies started in the mid of 2017. In October 2018, S4GA Management has made a visit to Singapore and met with CEO of Hardelec Engineering, Mr Sivagnanam Ratnakumar. As a result, the Parties agreed on official partnership. Currently, the Companies are finalizing legal part of the Agreement. In the meantime, a few airport projects are being already discussed. Hardelec Engineering was established in 1985 and so far got a reputation of a reliable contractor among local airport companies, CAAs, manufacturers and consultants. The Company specializes primarily in supply and installation of airfield lighting equipment. Hardelec has completed projects in Singapore, Malaysia, Philippines, Australia, Myanmar, and other Asian countries. S4GA will visit Singapore again in the end of February’19. We are exhibiting at Inter Airport Southeast Asia on February 27 – March 1, 2019. We welcome everybody to visit our booth, try our products and get acquainted with S4GA Team.